Original Penguin – upto 70% Off! At the Original Penguin outlet where you can sometimes find savings of upto 70%. Originally making its mark in 1955 from a 100-year-old underwear factory in Minnesota, the Original Penguin brand has grown into a fashion icon that has represented Americana since 1955 and is still worn all over the world today. 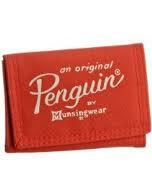 Re-launched in 2000 when young trendsetters started scouring yard sales and demanding their favourite vintage stores restock these iconic cult classics, Penguin’s archive of mid-century classics was reworked to reflect today’s lifestyle without compromising the heritage or craftsmanship that had made Penguin’s name. Today, with Original Penguin stores dotting the globe, and sold at exclusive luxury retailers, the Penguin brand has grown to compromises a full lifestyle brand that includes polo’s, shirts, sweaters, outerwear, jeans, chinos, footwear, t-shirts, accessories, gifts, women’s and kids ranges.